'Brain Freeze' is published by Puffin and is available now. 'Bombshell' is touring until 26th May. Tiff's performing at Blackfriars Basement, Glasgow on 16th, Bikeshed, Exeter on 18th and Glee Club, Birmingham on 23rd March. Check her website for details. Bob and Roberta Smith’s Object of Obsession, which is Jacob Esptein’s bronze bust of Esther is at New Art Gallery, Walsall. Bob will be explaining his obsession in a talk there on Wednesday 21st March, which will also be live-streamed on the gallery’s website. 'Don’t Panic! It’s The Douglas Adams Papers' is on Saturday 3rd March at 20.00 on BBC Radio 4. 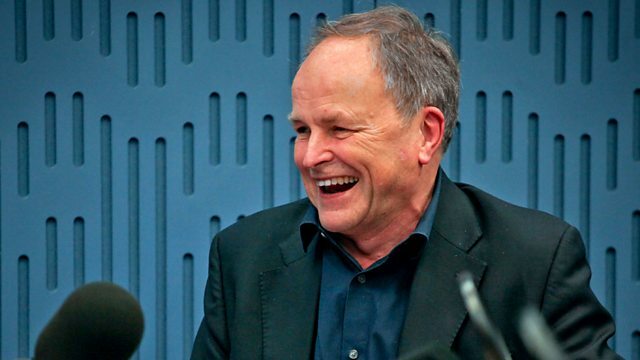 'The Hitchhiker’s Guide to the Galaxy: The Hexagonal Phase' starts on Thursday 8th March at 21.30 on BBC Radio 4. 'Undivided Heart & Soul' is available now on New West. 'Na Kitabo' is available now on Kadialy's bandcamp page. His forthcoming album 'Acoustic Diaspora' is available next month. Kadialy is playing at St Mary's Music Hall, London on Saturday 10th, and Rich Mix, London on Sunday 18th March.